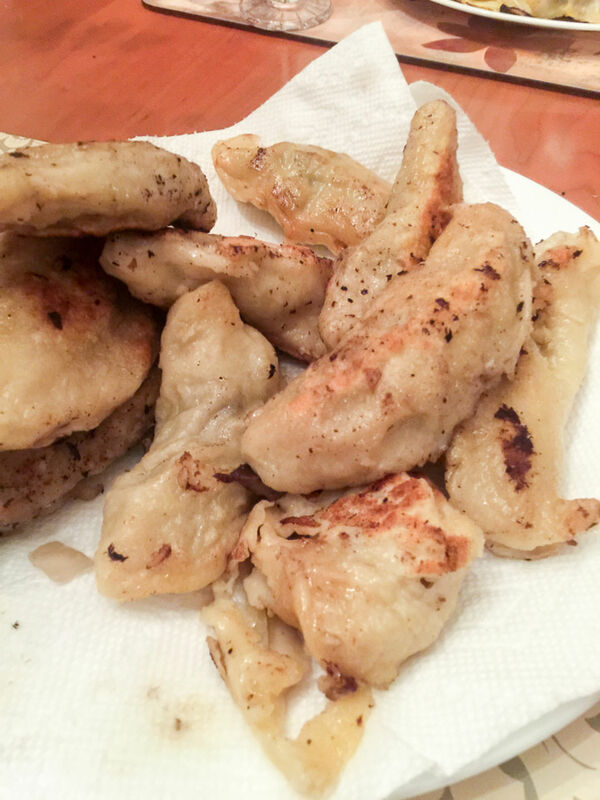 Here is a great autumn dish with lots of Pittsburgh flair - honey mushroom pierogies. Now for those that don't know me I am not from Pittsburgh and I don't have an Eastern European background which means I won't be making the pierogies the same way as your Mother/Grandmother/Babcia . So take my recipe for pierogi dough with a pinch of salt, if you have a different/better recipe please feel free to use that. For those that don't have a pierogi dough recipe this one should work just fine. Honey mushrooms are named after their color rather than their taste. They can have a bit of a livery taste and if this is the first time eating honey mushrooms try the cream cheese variation first. I recommend cooking the Honey mushrooms quite well in order to bring out the flavor and avoid any adverse reactions that are occasionally reported when they are under cooked. You can of course use any mushrooms, wild or store brought, or a mixture of mushrooms for this recipe. Button mushrooms and Shiitake would both work well. 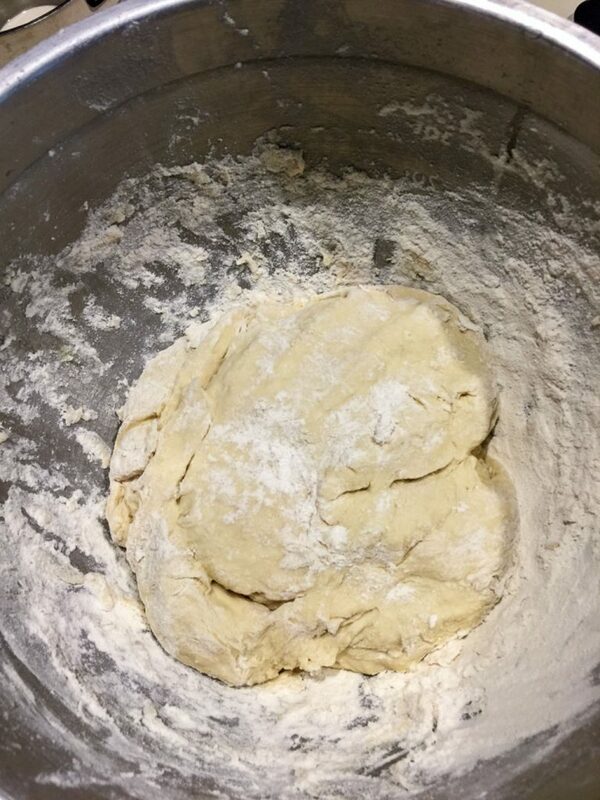 Combine all the dough ingredients in a bowl and mix until it is smooth. If it is too dry add water, a table spoon at a time. If it is too sticky add flour. again 1 table spoon at a time. When the dough has a smooth texture turn on to a floured work surface and kneed for 3 or 4 minutes until it is elastic. Cover and refrigerate for 30 minutes. Sauté the onions in the butter on medium until they soften. 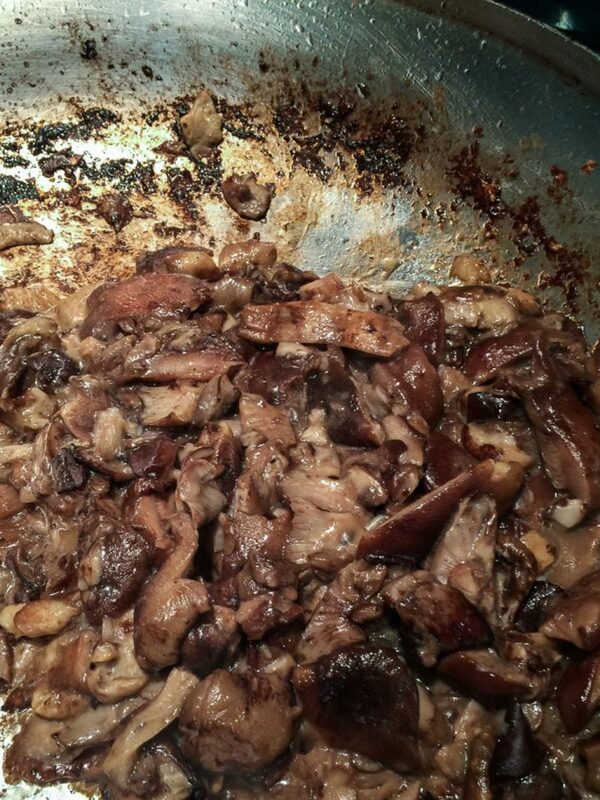 Add the chopped mushrooms and sauté until they brown and caramelize. Add a pinch of salt and pepper to taste. Roll out the 1/2 the dough on a flowered surface to about 1/4 inch thick. Cut the dough in to circles with a pastry cutter or glass. 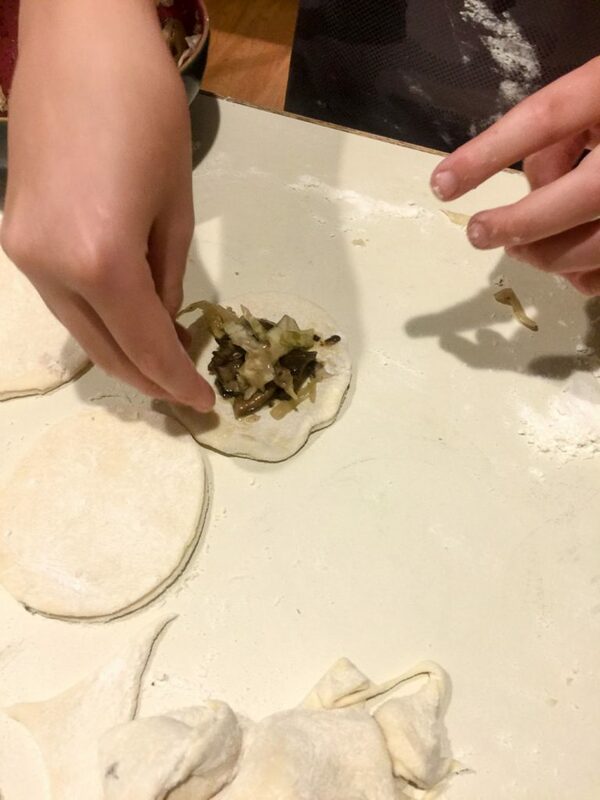 Fill dough with mushroom mixture, about a table spoon per a pierogie and use your finger to run a bit of water around half the circle and fold shut then crimp with your fingers. Roll out the other half of the dough and repeat. Put the pierogies is a pan of boiling water and stir once or twice so that they don't stick to the bottom of the pan or each other. Turn the heat down to a simmer. 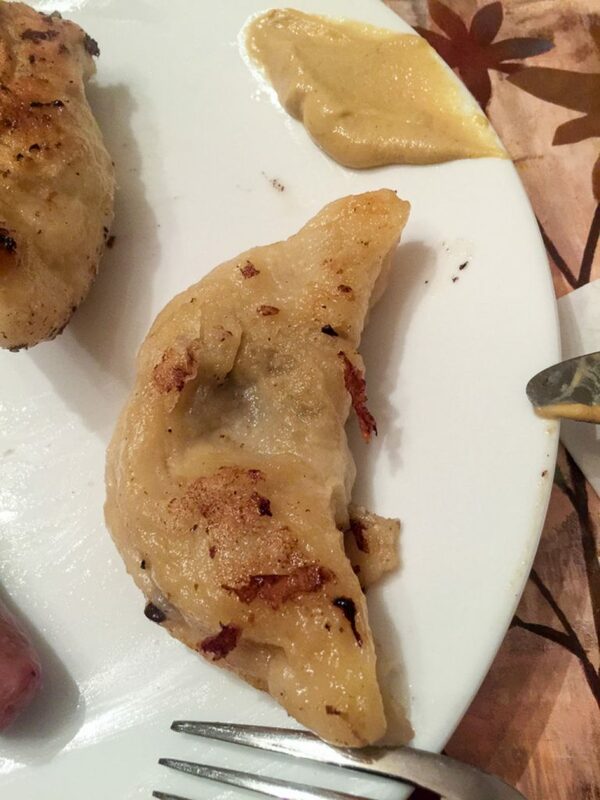 After a few minutes the pierogies should float to the surface. I normally let them cook for another minute to two then fish them out and drain in a colander. Fry pierogies in (lots of) butter until crisp and browned. Mushroom and sauerkraut. Add some sauerkraut to some or all of your mushroom mix. Mushroom and cream cheese. Add 4oz of cream cheese to the mushroom filling at the end of cooking.